Here you are looking for Kidney Stones Home Remedies and this probably means that your last attack was excruciatingly painful!! Serious pain in the upper back , the lower abdomen and groin. Kidney stones can be studded with sharp spikes which is what causes the agonizing pain as these barbed stones make their way from the kidneys through the ureter finding their painful way out of the body. Unfortunately experts are not entirely sure as to what causes Kidney Stones. 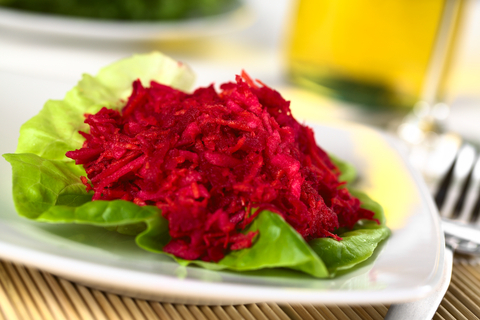 But having said that, the one thing they are sure about is that diet plays a huge role in in preventing the accumulation of the minerals that collect in the urine causing kidney stones. 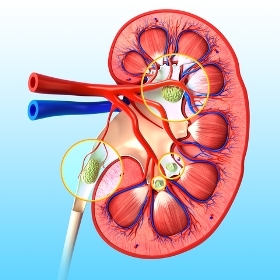 There are various types of Kidney Stones and these Kidney Stones Home Remedies deal with the two most common forms which are calcium and uric acid kidney stones. Anatomy of the Kidney with Stones. It is important that you determine the chemical composition of your particular kidney stone. 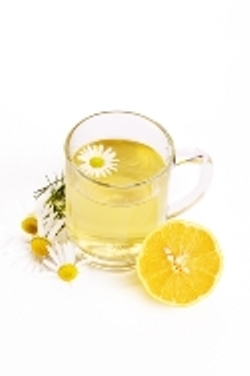 Adjustments can then be made to your diet as in natural kidney stones home remedies for calcium stones. About 80% of all stones are calcium oxalate stones. But then you must also check out natural gout remedies if you are suffering from uric acid stones. Take a look at these natural kidney stones home remedies and see what you can use from Mother Nature's cupboard to help prevent another painful attack. Cinnamon and Honey - Kidney Stones Home Remedy. 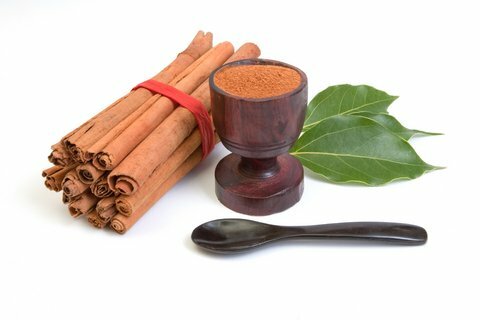 Mix two tablespoons of cinnamon powder and one teaspoon of honey into a glass of warm water and drink twice a day. 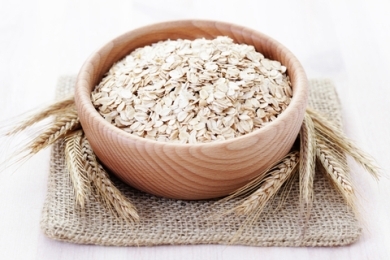 Fiber helps to prevent crystallization of urinary calcium by binding calcium and oxalates still in the intestines. Cinnamon is a good source of fiber. Honey, apart from been a natural sweetener, also has antibiotic and antiseptic properties. Celery for Home Prevention of Kidney Stones. Purchase some celery seeds from a reliable health store and follow the instructions. This Home Remedy for Kidney Stones is based on folklore and word of mouth. 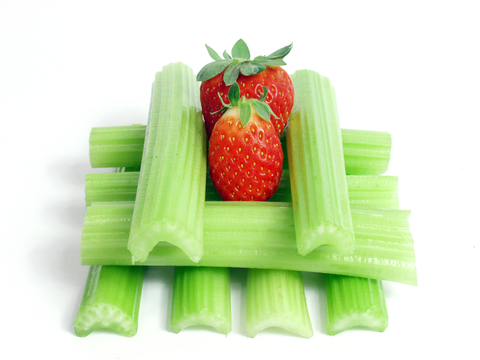 But, celery does contain Vitamin A which is beneficial for the urinary tract. It is also a diuretic which stimulates urine production and is useful for people suffering from an over-supply of uric acid. Celery leaves have a fair supply of potassium which is alkaline and will help by neutralizing stone-forming acids in the body. An Ancient Kidney Stone Home Remedy using Lemon Juice and Olive Oil. Squeeze the juice of a lemon into some warm water and add 2 teaspoons of olive oil. Drink this every half-hour until the pain subsides. This will probably not taste so good, so keep a glass of water handy to wash it down with. The remedy is not based on any scientific facts, but on a traditional home remedy which has been passed down from generation to generation. The belief is that the lemon juice will break down the stones, and that the olive oil will ease the passage of the stone on its way to freedom, and hopefully yours. People who lead a sedentary lifestyle tend to accumulate high levels of calcium in the bloodstream. Exercise helps pull calcium from the blood into the bones, which is exactly where it belongs and doesn't cause trouble.